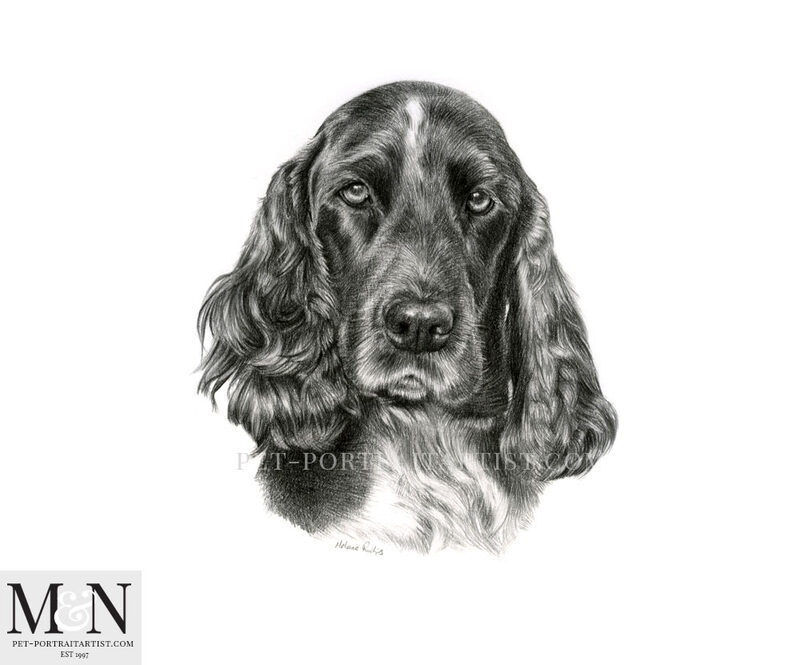 Welcome to my latest Spaniel pencil drawing of the most gorgeous dog called Monty. 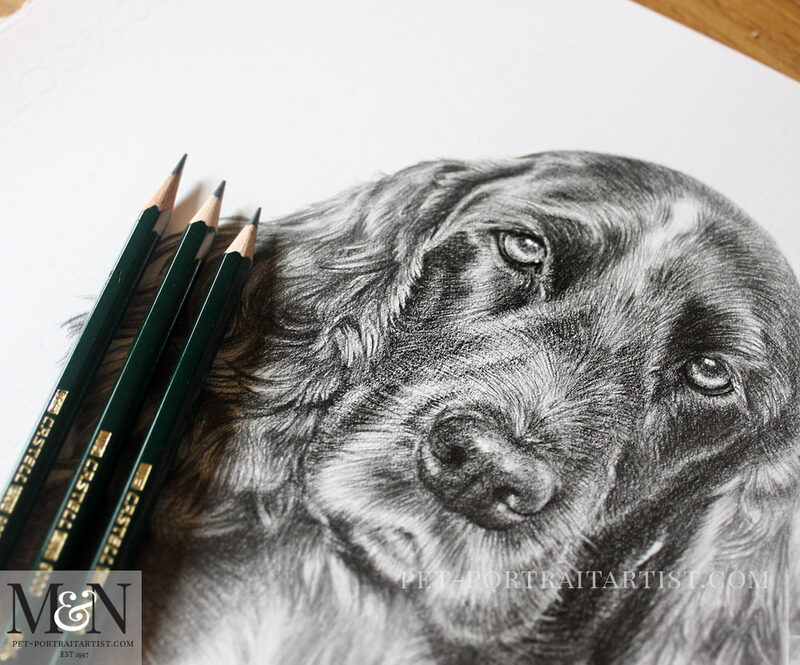 Monty is a 12 x 10 pencil drawing commissioned by a lovely client called Allie here in the UK. Sadly Monty is no longer with us. Allie and her family wanted to have a drawing to remember him by. Therefore it has been wonderful to portray him for my client and her family. He is adorable. Above all had the most wonderful eyes to portray. I enjoyed every minute! 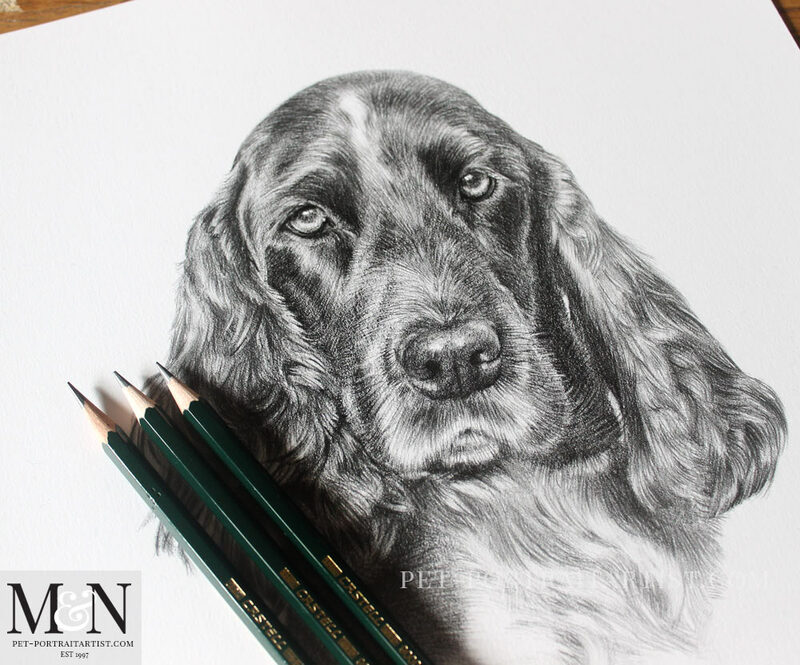 I do have a soft spot for spaniels and always love drawing them. A final scan of Monty is below for everyone to see. I also added some candid photos on my plan chest. This shows my pencils on the artwork to give scale. I really hope you like him…off to my easel now! Here are a few photos of Monty on my plan chest with my pencils. I also find this helps clients and readers gauge the size of the drawing. 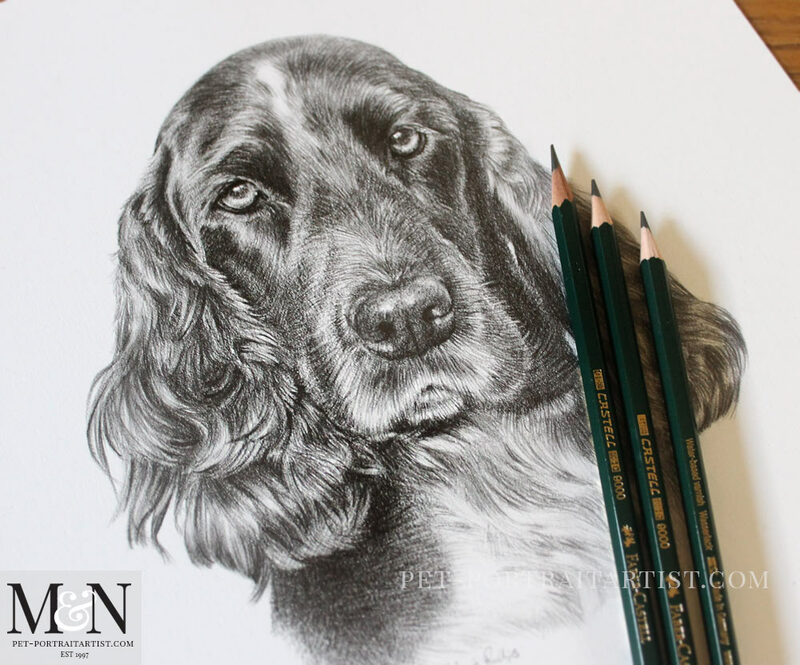 Consequently if you would like to see more of my artwork, take a look at my pencil drawing gallery on my website. There is lots to see over there, including a close up gallery and also a lovely gallery with some of my work framed. We are working with a new framer, if you are looking to have your portrait framed drop us a line at anytime! Incredible technique meets a big heart. Thanks, Melanie.